Would you like to try some chocolate? 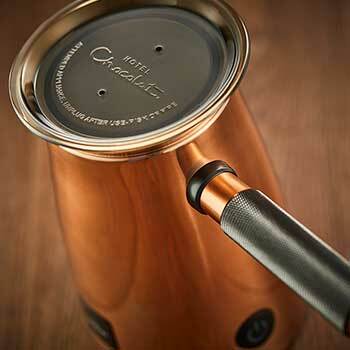 Drop in to Hotel Chocolat and try a new recipe on the house every month. While you're there, browse everything from elegant gift boxes of chocolate to imaginative takes on your everyday chocolate fix, all made according to their mantra - More Cocoa, Less Sugar - for a satisfying cocoa hit. Don't forget to fuel up at the café, choose from their Award Winning Menu including Hot Chocolat, Coffee Chocolat Latte and Teaolat. We also serve our Ice Cream of the Gods and Chilled Chocolat drinks for the warmer days. Shop now, pick up later! Free if all items are available in store. Terms and conditions apply. A soft-centred caramel bunny smartly dressed in mellow milk chocolate. I started working in Hotel Chocolat, as a Christmas temp, back in 2009 and quickly embraced the company's passion, ethics, innovation & drive for 100% guest happiness. By the end of 2012, I'd completed our chocolate diploma & in 2013, I had worked my way up to Store Manager. We love saying hello to familiar faces & welcoming new guests into our world. Next time you're nearby, drop in for a friendly chat, a Hot Chocolat & a taste of our incredible chocolate! Pure chocolate entertainment for dinner parties and family gatherings. Just heat the four chocolate pots and dip in gianduja balls, panned Brazil nuts, marshmallows, almond biscuits, mini grissini and florentines - the mix of sweet and savoury brings out every flavour nuance. Instead of making an ordinary Ice Cream, we infused ours with cocoa. We decided to call this recipe the ice cream of the gods, not just for the heavenly flavour notes, but after the name of the cocoa plant itself; Theobroma cacao, which translates literally as 'cocoa food of the gods'.